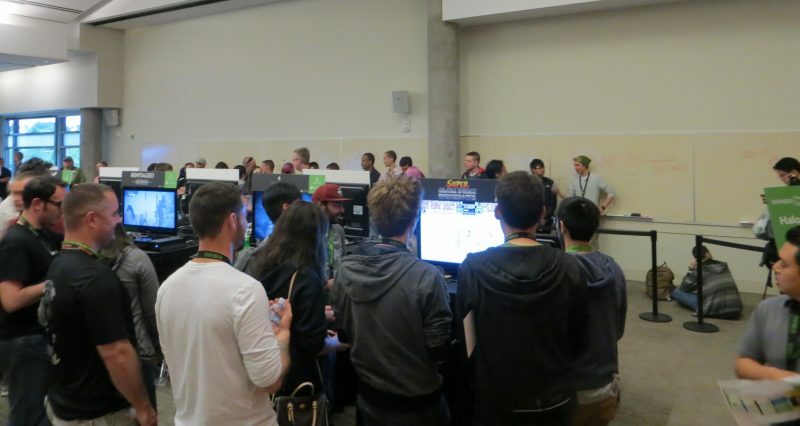 Tipping Goat has returned from Washington state after demoing Super Slam Dunk Touchdown at the ID@Xbox pre-PAX event in Redmond. 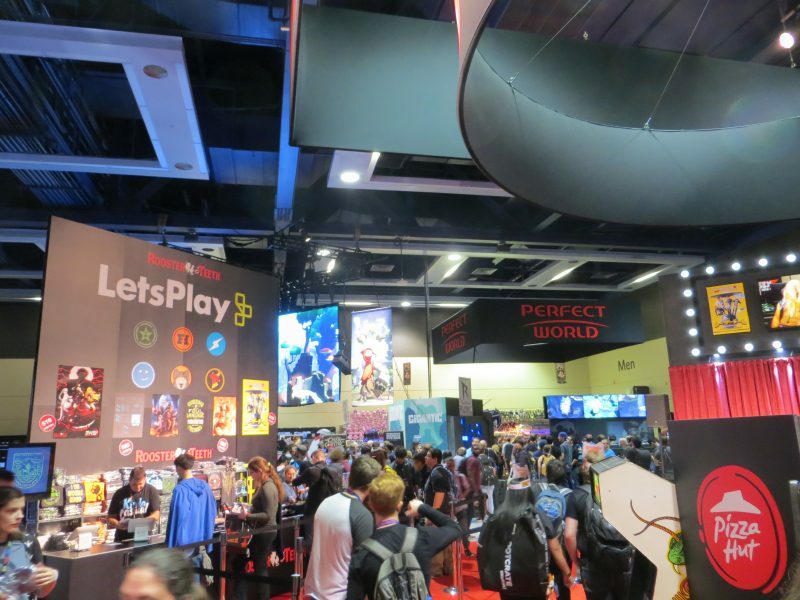 More than 50 indie devs were on site to demo their games on Xbox One and Windows. 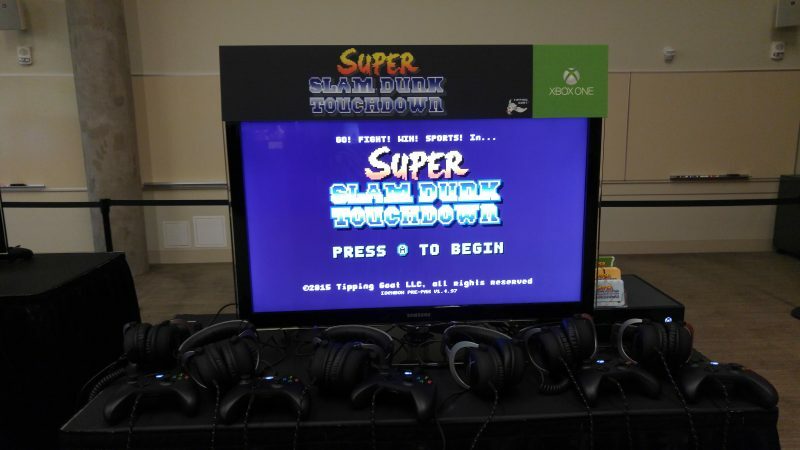 I’m happy to say Super Slam Dunk Touchdown was running on real Xbox One hardware. This would the first public showing on Xbox One, and the attendees would be putting the game through the paces. Everything seemed good to go so I went down to check out the Microsoft store downstairs with my buddies from Three Flip and a couple of the other indies at the show. On the way there, we found the visitor center and checked out some Surface tablets, games, and a wall of cameras and screens that caught my eye. Not perfect but not to shabby! 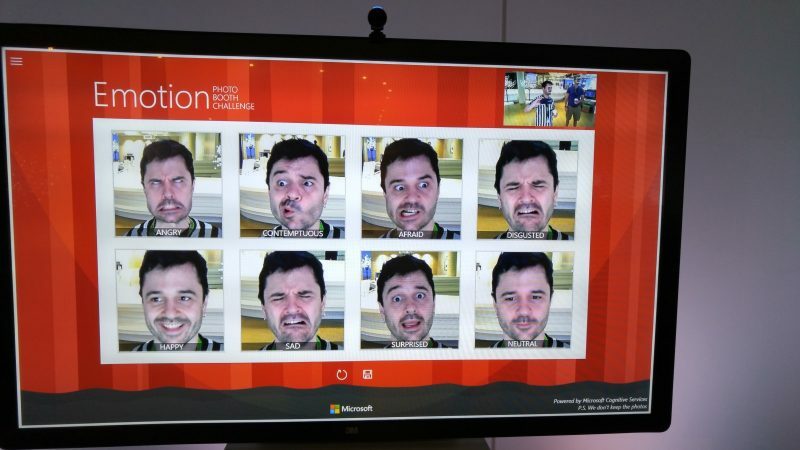 In addition to gauging facial expressions, there was some silly stuff too like “guess your age” and “what dog are you”. 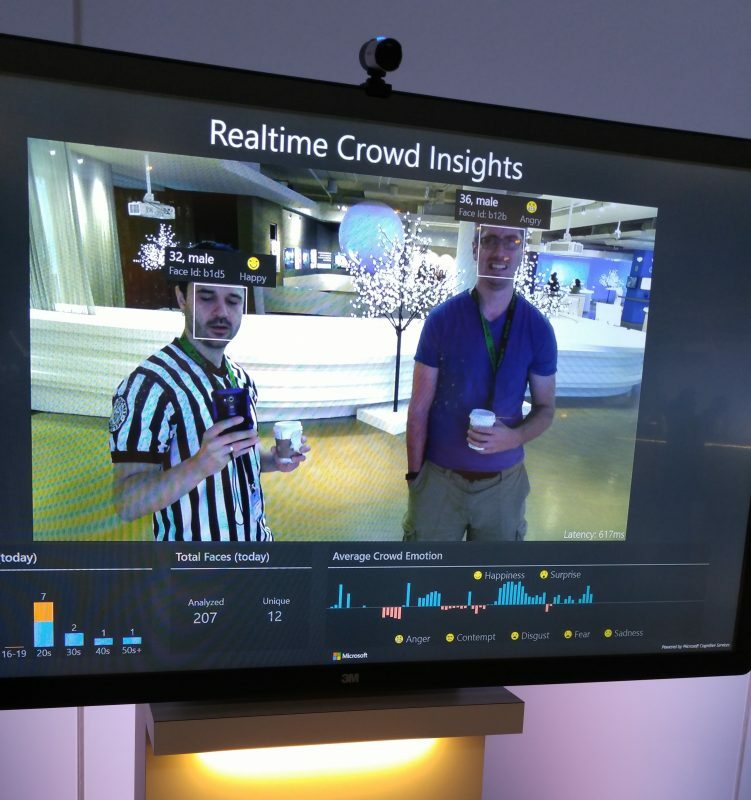 But what really caught my eye was the realtime crowd insights demonstration. It isn’t perfect (it thought I was 32, hey thanks!) but I could see this sort of technology being super useful alongside a feed of a game you are demonstrating. I would love to let it run all day and then go back and see where people were excited, confused or frustrated while playing. The store had lots of shirts, stuffed toys, computery bits and my favorite, a stuffed Xbox One controller. But upon trying to play some more pre-show SSDT, I found one of the controllers wasn’t working. A helpful ID@Xbox employee got me a new USB hub and everything seemed like it was going to go perfectly. We grabbed lunch at Microsoft HQ’s impressive food court-like cafeteria, and before we knew it we were showing the game to special VIPs, and media and press folks. I talked to a few streamers and hopefully we’ll see some more local multiplayer streams of SSDT soon! Then it was dinner on Microsoft and a long line of Xbox fans. The crowd was great, and folks were having a good time with SSDT. Unfortunately part-way through the show, a group of players went in for a 3-on-3 match, but one of the controllers seemed to die again. 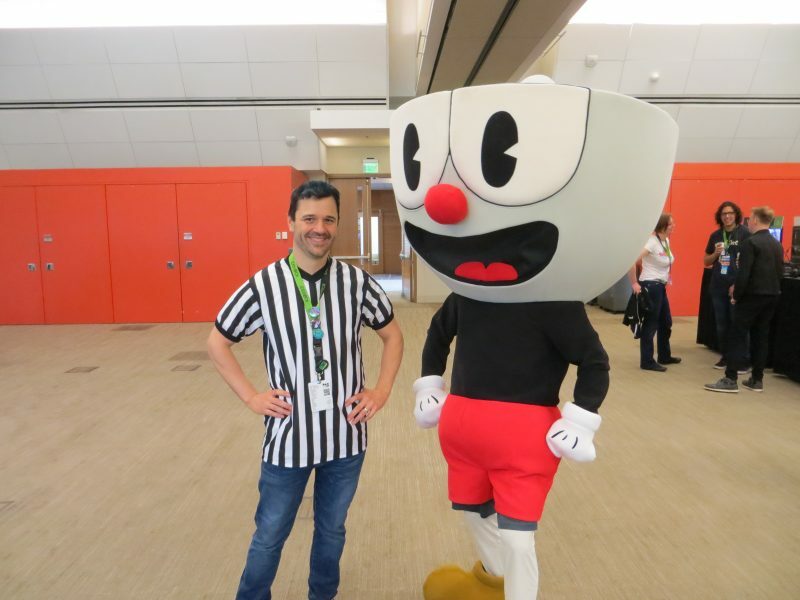 But upon further inspection, the controller was still connected to the Xbox One just fine, and the Xbox button was functioning. This meant it was a bug in SSDT! This annoying bug cropped up a few times throughout the show, meaning I had to check all the controllers repeatedly, and exit out to the title screen which seemed to fix it. A new build should address this issue, but it was quite annoying in an otherwise perfect show. As a gift, Microsoft gave us pins with our game logos, a thank you card and a Friday badge to attend PAX West! 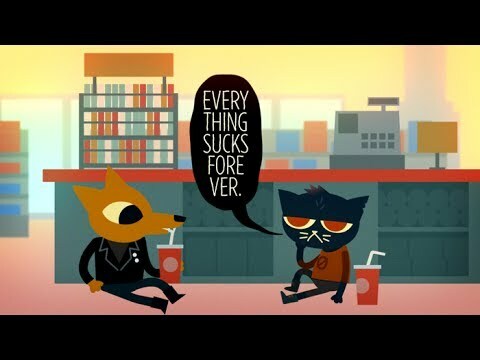 Night in the Woods has some seriously amazing animation and great writing. It’s a text-driven game, but you will get sucked into it immediately and never quite know what to expect. And it was built in Unity! Battlesloths is a great 4 player couch competitive combat and pizza building game. As we all know, in order to create pizza, sloths have to assemble them one slice at a time, and there’s no better place to get a slice of pizza than from a dead sloth. Great fun! Any Rogue-like that let’s you play as a comedian and tell jokes so bad people want to kill you has my attention. 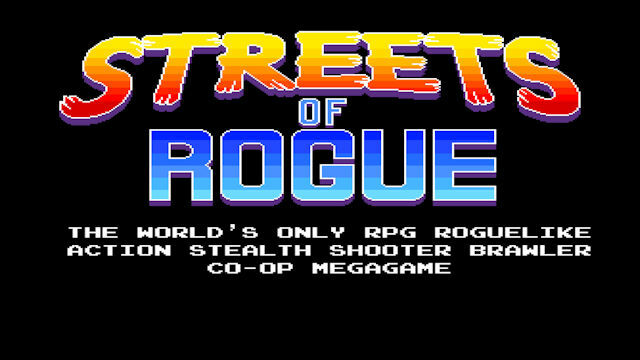 And that’s just one of the bizarre character classes you can choose to play as in Streets of Rogue. NPCs can either help or hurt you, depending on your actions (such as telling a good joke for a quest item). Missions, items and combat all seem to be the meat of the game, but I had the feeling I was only just scratching the surface. As a space suited Astroneer, you can build bases, hook up power and even modify the terrain. It looks like a perfect mesh of planetary exploration, base building and crafting, though the crowd was so big around it I didn’t get a chance to play. 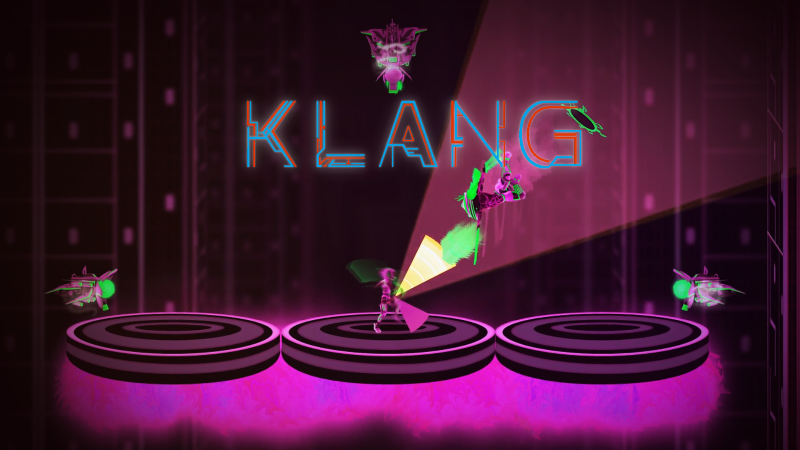 Klang is an amazing rhythm platforming game that seems to put you in the shoes of a rockin’ little protagonist who has to fight enemies to the beat and solve platforming challenges for the amusement of a giant evil overlord. The graphics are great, the controls precise, and the soundtrack is amazing. I wish I could have seen more, but it was a great trip and I’m glad to be back, hard at work again on Super Slam Dunk Touchdown’s upcoming Season Mode and Xbox One release!